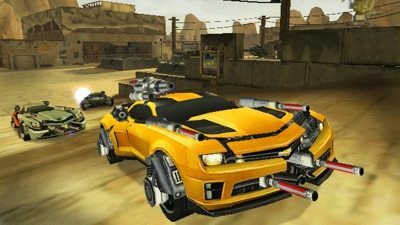 Activision have today released the first screenshots for the Nintendo 3DS version of Transformers: Dark of the Moon, currently in development by Behaviour Interactive. The game is due to feature epic battles across Earth, from the jungles of South America to urban Detroit in a bid to save the planet from destruction. These latest screens present in-game captures of Bumble Bee, Lockdown, Optimus Prime, and Megatron. Transformers: Dark of the Moon is due to release for Wii, Nintendo DS and Nintendo 3DS on June 24th across Europe.